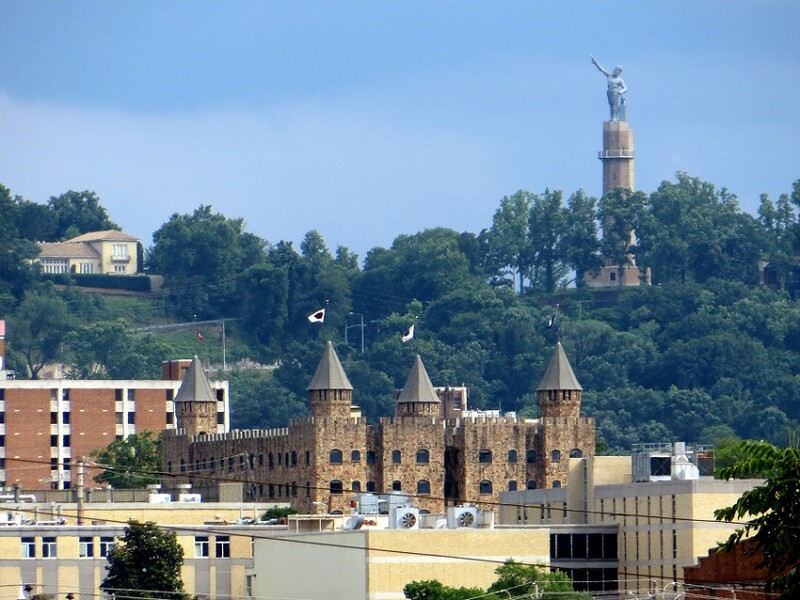 April 27, 2015 — The state of Alabama is often characterized as being one of the Union’s more backward, but I had no clue how far back they were until I saw its largest city firsthand. We’re talking back-to-ancient-pagan-gods back. A massive metal idol glowers down on Birmingham, like it’s just looking for an excuse to be angry with its citizens. Or indifferent. The two states of godhood. In this case, the ancient god is Vulcan, the Roman deity whose business cards list fire and metallurgy in raised gold print. His resume includes Jupiter’s thunderbolts, Achilles’ armor, and Prometheus’s chains. And he’s in the American South because, well, that’s where all the old gods went when we replaced them. Neptune’s in Richmond. Athena’s in Nashville. 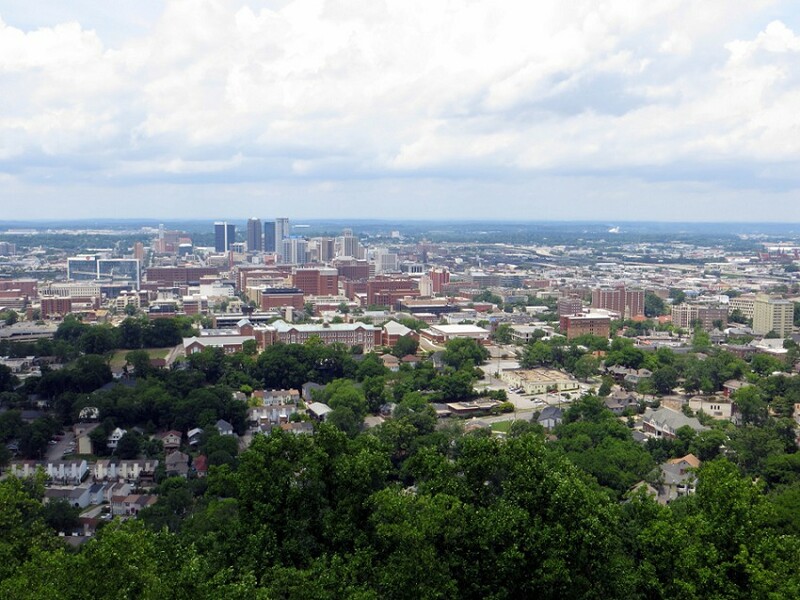 For real, though, while many cities were building themselves on rock n’ roll, Birmingham took the more sensible route of building itself on steel and iron and whatever else they could pull out of the surrounding hills for their spooky blood-colored furnaces. 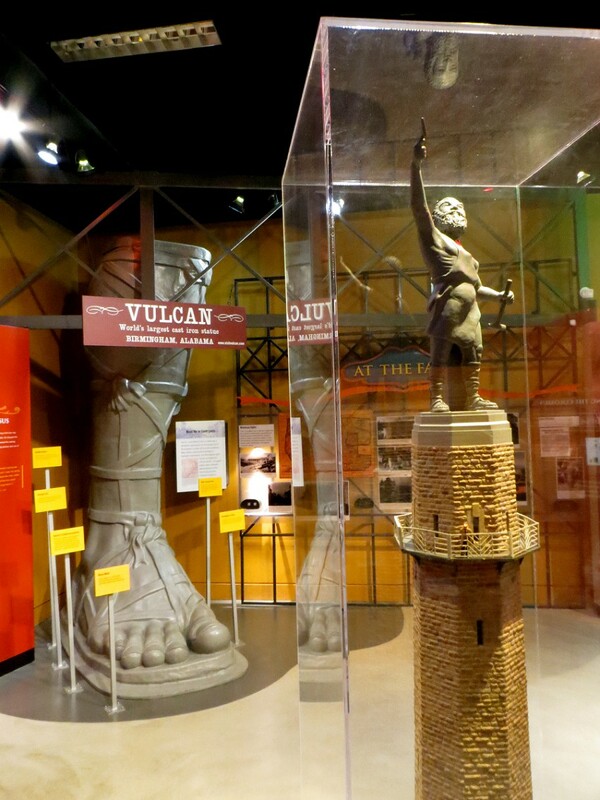 And to celebrate, they created the world’s largest cast-iron statue. 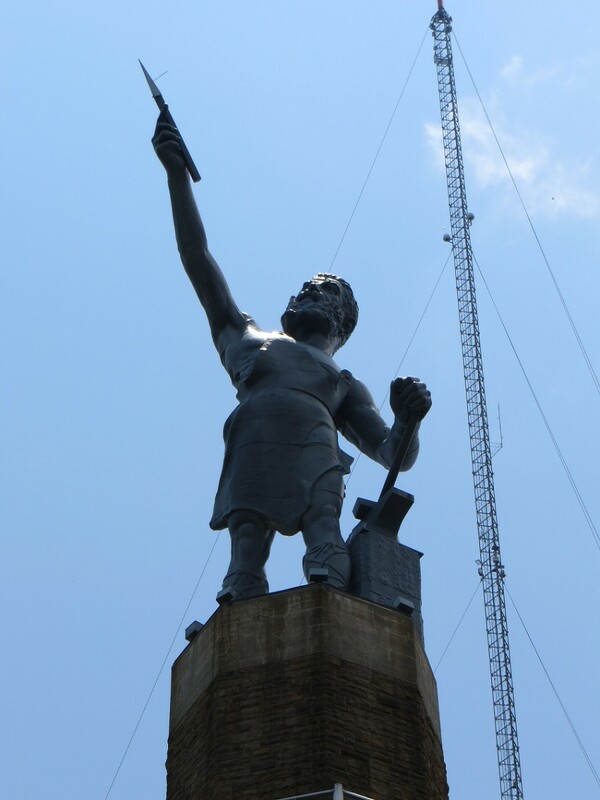 Sculpted by Giuseppe Moretti, it was cast in 1904 for the St. Louis World’s Fair and depicted a bearded Vulcan wearing little more then sandals and a Kiss the Cook apron, his anvil and hammer at one hand and his other outstretched to appreciate his handiwork of a recently forged spear head. The whole thing is 56 feet tall, weighs 45 tons, and was created in 29 different sections. Its head alone is 11,000 pounds. Basically, if it fell on you it would hurt…your family and friends because you’d be dead. Since the fair more than a century ago, this guy has been through a lot. Seen fire and rain, lonely times when he could not find a friend. He’s been disassembled multiple times, left on the ground in pieces for months on end, moved to a couple different places in the city, painted in flesh tones, painted red, used in marketing campaigns. 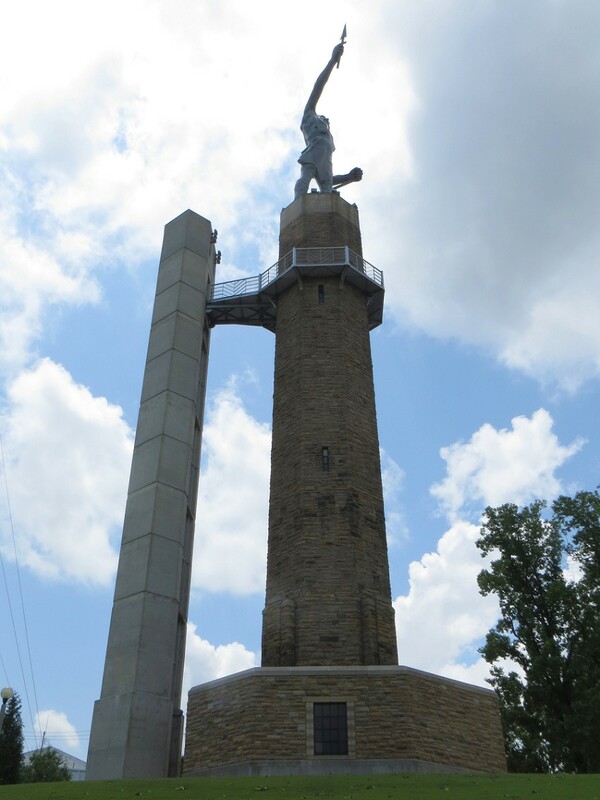 In 1936, he was installed on a 126-foot-tall sandstone tower in a park named after him on Red Mountain, where most of his raw materials were mined. For decades, a green neon torch was placed over his spear that smoldered forge-fire red whenever there was a traffic fatality in the city. 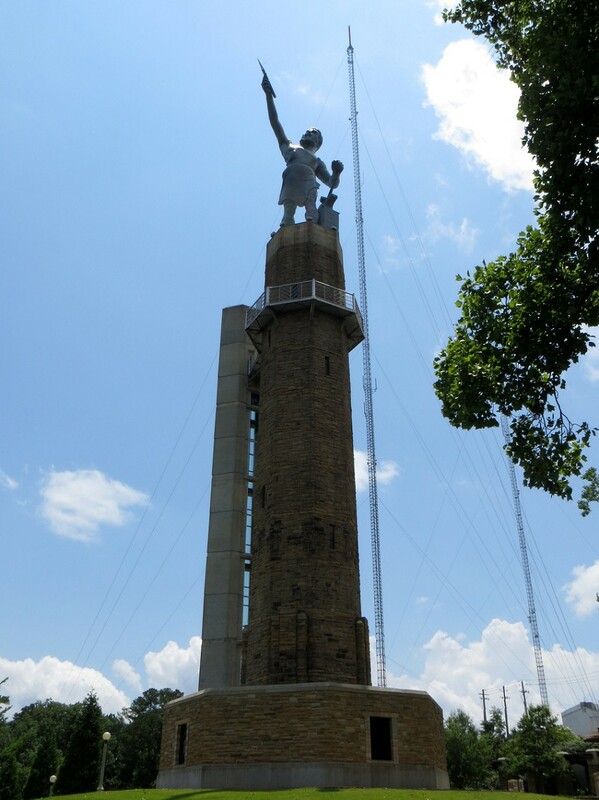 In the 1970s, for Birmingham’s centennial, the park was upgraded, and an elevator and exterior walkway installed high up at his feet. Early this millennium, in reaction to fears of his imminent collapse, he and his tower were completely restored, and he was given a fresh coat of zinc to protect him, which gives him that dull metallic sheen he sports today. Well, you know me and signature tall things. Of course we ascended him. After a quick circuit through the museum, we walked out to the adjacent elevator in its freestanding vertical shaft. 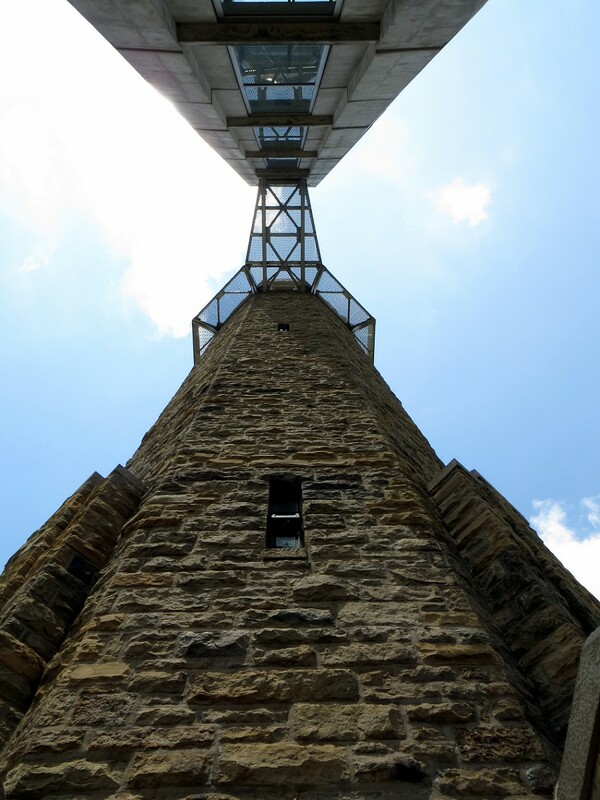 We could’ve taken the stairs inside the tower, which we did on the way down just to do it, but I really suggest making at least one of the trips in the elevator, solely for the terrifying experience of crossing the chasm at the top between the shaft and the tower. It can’t be more than 15 feet long, but it’s across a flimsy-seeming metal grate. You can see through the holes all the way down the 126 feet to what, if the bridge collapsed, would be the cause of death listed on your death certificate: Fast concrete. From there, we circled the tower on this thin, exposed walkway, which is its own kind of exciting. Between the wide vistas of air spreading out from us and above the city to the heavy god above us, it…was…heady. Except for the times when we were behind the statue. Then it was, I don’t know, more like a bummer. But a nice bummer. 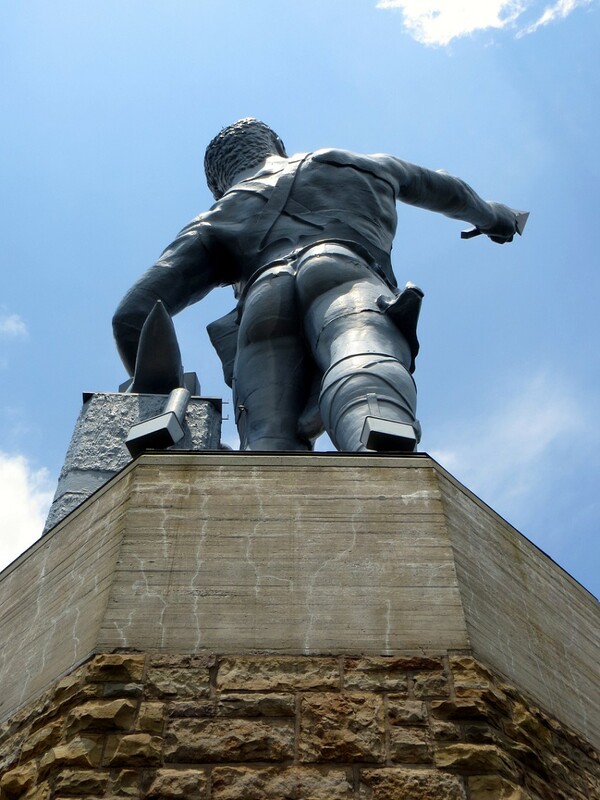 Apparently, blacksmiths have the best butts. Like anvils. 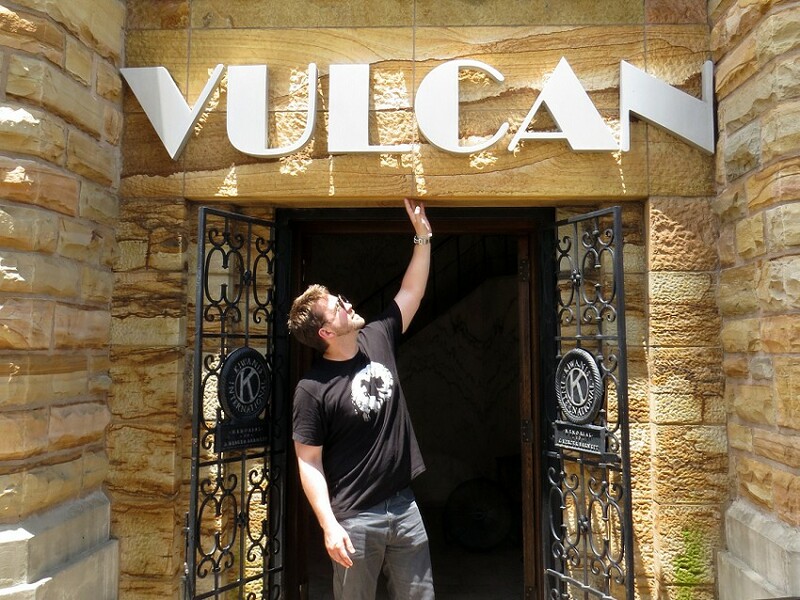 You could pound a horseshoe on Vulcan’s buns of iron. Standing at the feet of that god, filling my eyes with an entire city high above the heads of puny mortals, thinking about the century of history I was perched on, was no less than exhilarating. I’ll never call any state that can do something like this backward. Although I do like saying Alabama backward. Amabala. Amabala. I wish I was a little bit taller. I wish I was Amabala.